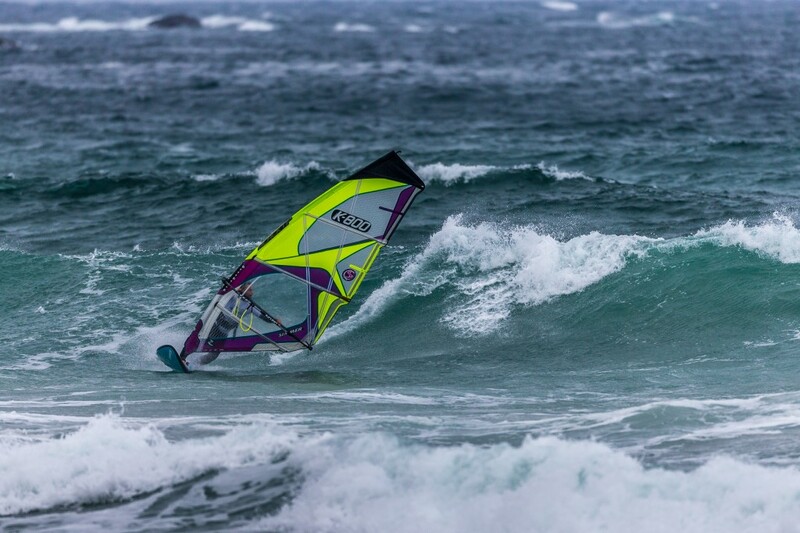 Defending Tiree Wave Classic champion Ben Proffitt has taken the lead in the 27th year of the prestigious windsurfing competition as action got underway in sensational style. A top-class pro fleet battled it out off Balephuil beach, with a thrilling four-man British line-up from the Professional Windsurfers Association (PWA) making the final. Proffitt, from Shropshire, picked up the highest wave score of the day to secure top-spot from Ross Williams, Adam Lewis and then Phil Horrocks. Competitors are judged on how they ride waves and produce jumps in a series of heats off the Inner Hebridean isle.. The event had been due to get underway at the weekend, but conditions weren’t quite up to scratch until the wind roared in an terrificWednesday of action. “Although we had a couple of frustrating days with challenging weather, it was well worth the wait,” he said. “There was a really high standards throughout the heats and I can’t wait for Friday for what’s shaping up to be a superb round – weather forecast is epic with winds of up to 30 knots and waves of up to two metres,” said Ross. The amateurs were first on the water this morning, and impressed the judges with some very impressive sailing. Scott McDowall from Troon secured top-spot, at least for now, beating Jonny Price, Ian Gibson and James Savage in the final. Judges called the sailing in the ladies fleet “truly excellent” with Poland’s Justnya Siady leading the way, finishing ahead of Megan Gayda, Ping Yin and Emma Ray. Two more days of action is due, with the final taking place on Friday where the competitors will have the possibility of climbing the leaderboard. The Tiree Wave Classic is the third of four events on the British Wavesailing Association’s UK Wave Tour.